After following the FI path alone for over 2 years I discovered Brandon’s blog MadFientist.com in 2013, immediately reading all of his posts. His writing on tax, spending, and life optimization guided me on my own FI journey and I’m grateful to now call him a friend. Brandon is one of the 10 people who reached financial independence before 35 featured in my book Financial Freedom: A Proven Path to All the Money You Will Ever Need and will also be featured in the upcoming Playing with FIRE (Financial Independence Retire Early) documentary (so stoked to see so many friends on the big screen!). In this conversation we dive deep into deprivation, happiness, meaning, and why it’s never been easier in history to reach financial independence. It was a true honor to have Brandon on the show. There’s some straight FIRE in this episode. Check it out below, on your favorite listening platform, or read the full interview transcript below. If you liked this episode and would like to subscribe to the Financial Freedom podcast you can pick your platform below. Also, all reviews on iTunes are greatly appreciated! 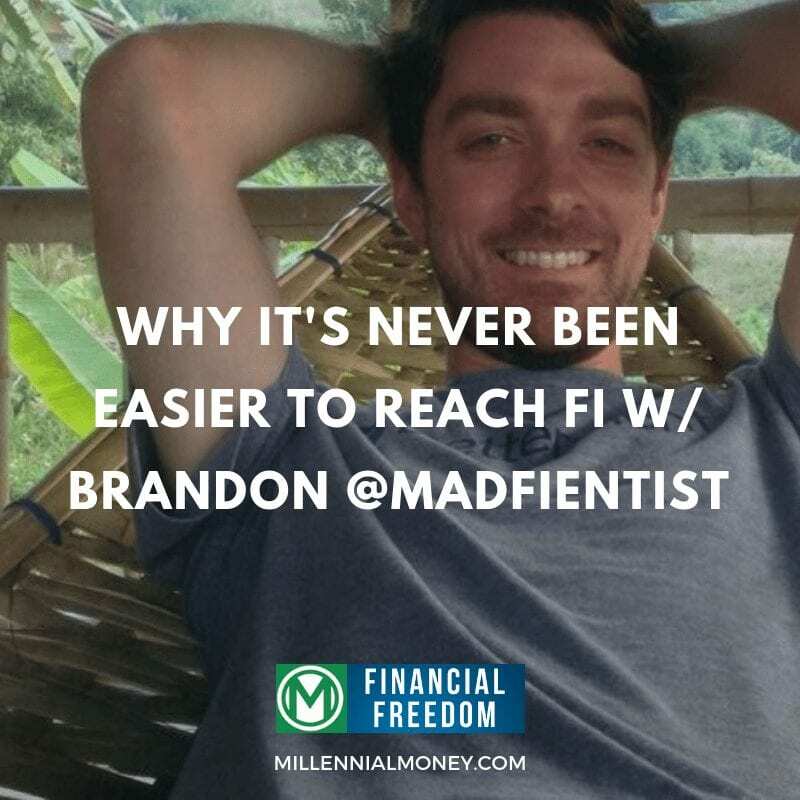 Grant: Hey everyone, I’m really excited today on the financial freedom podcast to have Brandon from MadFientist.com Brandon, aka the Mad Fientist. So Brandon is a legend in the personal finance space and actually had a big impact on my own FI journey. He was really the first blogger that I found that A) really kind of resonated with me and you know, I found him at a time where I’d been treading the FI path for about two years completely alone and he has incredible ideas on tax optimization and lifestyle optimization and is one of the nicest people that I’ve ever met. So hey Brandon, welcome to the podcast. Brandon: 00:39 Wow, that’s amazing intro. Thank you so much for those kind words. It’s good to be here. Grant: 00:44 Yeah man. So Brandon is one of the 12 stories featured in Financial Freedom. So it’s just been really cool to learn more about your story and I really appreciate all the help there. And one place that I really wanted to start here is of all the people I’ve talked to you really seem like you’ve gotten the how to maximize my happiness per dollar thing figured out. Can you tell the audience about how did you figure out that perfect spending level that made you happy? Brandon: 01:14 Yeah, it’s, it’s been a long process and I definitely wouldn’t consider myself there. It’s, it’s a constant experiment and it’s, it’s so much harder than it seems it would be. It’s like, okay. Even giving myself unlimited funds to be like, okay, here this is, you can just go crazy and even then it’s still hard to figure out like exactly what makes you happy. So the, the origin of the story is I went way too far and the deprivation zone of savings and frugality and so when I have found that financial independence is possible, like I just did everything in my power to get there and I became obsessed with it really. And that led to a period of probably two years at least of just like really quite dark times. Like I wasn’t happy, which obviously then made my wife unhappy and I was just trying to save every single penny. It wasn’t good. Brandon: 02:12 I didn’t even realize what was happening to be honest. I just knew once I hit FI I’ll be happy and I was just trying to get there as quickly as possible, but just slowly just started to be more withdrawn from my friends and family and it was like, okay, I don’t want to go and do this, a big ski trip because that’ll cost a lot of money and so I’ll just stay at home and I’ll study or I’ll do some Mad Fientist work and that just kept building until I was like really withdrawn and we were living in the woods of Vermont at the time. So it was easy to just disappear into the woods really. And yeah, it was only like after two years of that that my wife was like, what is happening here? Like we need to make a change and snap out of this. Brandon: 02:56 Like you’re obviously unhappy. I’m not happy. And it was only once she said that, that I realized what had been going on and like, yeah, I was, I was actually depressed I think. And it was obviously lots of different things. It wasn’t just frugality and deprivation for spending. It was, you know, the isolation of being in the woods of Vermont. It was not being happy at my job and things like that and being overworked because I was doing a free master’s degree at the time. So it was all those things. But once she said it, it was like, Oh wow, yeah, we are unhappy and we, we just decided to move back to Scotland, which is where she was from and just start over really just like, okay, like get out of the woods, start being around people that we love and like spending time around and stop just focusing on money so much which was, which was my problem. Brandon: 03:43 So that was, that’s one half of the story. So that was me testing that lower bound and realizing hey, that’s not a life worth living. So then what happens, a few years later is when I moved to Scotland, like I’d hit my FI number and I was like, okay, I’m just going to quit my job and then just see how this goes. When I quit, they asked if I wanted to stay on remotely from Scotland and at the time our house hadn’t sold in Vermont yet and I would have been super stressed about that, so I was like, okay, this is perfect, this will let me, you know, keep earning income so I don’t stress too much about this empty house in Vermont and it’ll just like ease the transition into Scotland because I’ll be just working the same job that I’m used to and it will be great because it’ll take away all the stuff that I hated about the job, which was like commuting and meetings and being trapped in the office from nine to five and all that sort of stuff, which I’m sure a lot of people can relate to out there. Brandon: 04:36 It ended up being a really good situation, so I ended up working for two years longer than I expected. So that second year I said to myself, I was like, all right, look, I got this salary coming in that I didn’t expect. So for once in my life. And that’s true. Like I’ve always been focused on money my entire life. 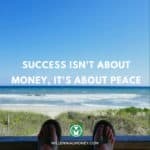 I don’t know where that comes from, but it always was a focus and I was like for once in my life I’m just going to let loose and spend like crazy if I want and just don’t worry about what I’m spending on and during that year, like I don’t, I don’t think we spent more than a $1,000 or $2,000 more than we normally spend and I think that’s because all like the big things were optimized so nicely that, you know, when I spend a few extra dollars going out to eat more, like buying a few more beers when I’m out with friends or something, like none of that really actually mattered. So I know I’ve been chatting for a long time so I’ll, I’ll leave the story there. But I think testing both the upper and lower bounds really helped me dial in like what actually is important. Grant: 05:39 Yeah. Cause that. Thanks for sharing. I think that, that uh, it’s often tough for people when they hear that. Like, you know, does this make you happy? You know, how are you spending your money? Is it aligned with your values? What’s your why? All these things, and I think one of the things with financial independence is a lot people, they just look to that destination and it just becomes kind of a money addiction in another form and I really appreciate it. I appreciate you sharing that story. What is one thing that you realized throughout the FI journey? Did you feel kind of more free as you saved and invested more money? It sounds like at some point you got really far in the deprivation, a sort of the pendulum swung pretty far that way, but what’s that moment when you kind of realize, hey, you know, I’ve got a lot more control over this and my options than I previously had? Brandon: 06:32 Yeah, I wish I had realized that earlier. It wasn’t until really quite late in the journey and only really once I’d hit FI that I realized that. So as you said, I got way into the deprivation zone, which sort of felt like I was reducing my freedom and reducing my choices because I was just so focused on trying to scrimp and save everything that I could. So I think it went too far the other way, but the first, the first time I realized the power of saving that money was when I did tell my bosses, hey I’m moving to Scotland, and it wasn’t like, hey, can I work remotely from Scotland? Or hey, can we figure something out? It was like I’m moving to Scotland and I just didn’t care what they said really. But when they came back and said, hey, do you want to work remotely? Brandon: 07:17 And here’s a computer you can take and all this other stuff. It was like, whoa, I should have done that a long time ago. Because if, if I’d walked into my boss’s office because I was able to work one day a week from home, but like working anymore, it was like, oh no, that’s against company policy. Like, no, if we let you work two days a week from home, then everybody’s gonna want to do it and all this sort of stuff. And here I was just handed five days a week working from home on a platter. And it was only because like I was willing to walk away and I was able to walk away, I had the money to walk away and so that was the first glimpse into, into sort of that power and freedom. But I’m still only like really coming to grips with it now. Brandon: 08:01 Just like the Mad Fientist for example. Like that’s always been a hobby and yeah, now it’s earning income, but at the core it’s a hobby and it’s something that I enjoy doing. But that first year of actual, after I left my job I was doing, I was saying yes to so many things just because I thought I had to, to like keep the Mad Fientist growing and keep the business like as it was in like bloggers are always wanting to grow their audience and you know, so you say yes to all these things. And it was only like, as I felt like my time was constricted, like I was when I was at a job, I was like, what am I doing? Like I’m saying yes to all this stuff. And yes, some of it’s really fun and some of it’s really cool and good and interesting, but it’s like I don’t have to say yes to anything and I have the freedom to pick only the things that I really enjoy doing or the things that I think will help the most people or the things that I think will like improve my life the most. Grant: 09:22 I couldn’t agree with you more. Uh, I’m actually in a, in a very similar position myself where, you know, I’ve been out of the corporate world now for almost 11 months and I’m at a point where I want to keep growing the blog. I’ve got a book coming out, you know, there’s so many opportunities, but at the same time, one of the things I’ve started to feel is oddly a kind of constriction of time in a different way than when I was working in a corporate world. It’s kind of the paradox of financial freedom that, you know, since I can get up and do whatever I want, I actually feel like in some cases I have less time in order to do the things I love. Maybe because I have that option. Do you feel that in a way? How has your perception of time just changed over the past couple of years through this process? Brandon: 10:17 Yeah, absolutely. I agree with that and, but it’s all good. It’s like good stuff. And this was, this was a thing that I didn’t expect. I really struggled to sleep the first few months after leaving my job. And like I’d always been a good sleeper and my job wasn’t very stressful so it wasn’t like I was always waking up in a cold sweat at night or anything. So I’d always slept really well. But for the first few months I really struggled to sleep and that was because there was so much stuff that I was so excited to do that I really didn’t want to go to bed. So like bedtime was always the worst because I was like, I gotta go to sleep now and like when I’d wake up I’d be super excited. I’m like, yes, I got the full day. And so yeah. Brandon: 11:50 When I’m on the road I can’t do anything because all I want to do is eat all the local food and drink all the local beers and see all the sights and stuff. Saying no to super fun stuff like that actually resulted in increased happiness. And same with restaurants. It’s like yeah, we were eating out a lot more but it got less special. We enjoy going out to eat every once in a while because it’s like a, it’s a treat. And when something’s not a treat anymore, it’s just normal. And then you’re just like, oh, like this isn’t even fun and it’s probably less healthy than cooking. So. So yeah. So the time management and the spending, it’s like you have to say no to some really fun and interesting stuff just so you can, you know, try to maximize and live that optimal life that you think is optimal for you. But again, it’s always just an experiment. You just have to keep testing it out. Grant: 12:38 One of the things that I’ve realized is, you know, with, with financial freedom, you get this kind of time and you get this space and one of the things I’m starting to notice just how unhappy a lot of the people are that I meet or that I see. And I feel one of the things I’ve started to recognize, and I’ve never seen this before, that, you know, a lot of people are just, they’re asleep. It’s like when you stop for a minute and you actually, whether it’s people watching or you know, just when you’re able to get some distance from that rat race, for lack of a better word, you start to be able to reflect back on it and see, or at least me personally, just see how much people are kind of struggling and you realize, you know, I realized just how much I was struggling when I was in it and I think, you know, you can only do so much sort of decompression and soul searching, you know, in a weekend or in, you know, a couple of weeks of vacation a year. Are you learning a lot about yourself and exploring and growing in a way that you wouldn’t have expected? What are some of the things that you couldn’t have imagined you’d learn or do you feel like there’s an acceleration in just your growth? I mean, man, you sound really happy. Brandon: 13:56 Yeah. Oh absolutely it’s been nuts. And as you said, like people are just asleep and I was asleep and you’re too busy with the normal routine to like think about other things or try things or experiment. And this was the weirdest thing, like during the first few months after I quit my job, when you’re actually like thinking about like what is, what is the point of my life? Like I have unlimited freedom now to do whatever I want pretty much. And it’s like, well, what do I do with that? When I first thought, all right, I’m going to pursue financial independence. My thought was once I hit FI, then I’ll be able to do all these cool entrepreneurial things that I’d have always had in mind and I’ll start these businesses that, these business ideas that I had and I’d be able to finally work on all these things. Brandon: 14:42 And then I had to financial independence and I’m like, a lot of these business ideas that I had are just moneymaking ideas. And it’s like when you don’t need to make more money doing something just for the sake of making money doesn’t make sense anymore. So it was like, alright, well what do I do now? Like my biggest motivating thing in my entire life up until now has been making money. Every decision, you know, studying hard in high school so I can get into a good college, I can get a good job and get a good salary and picking careers based on salaries and basing all my decisions on like is this going to cost less or is this going to make me more money? And things like that. Like that. That’s been the main driver in my entire life. And here I was without that rudder really. Brandon: 15:26 It was like just bobbing in the ocean, this vast ocean that nobody else is around me because everybody else is on the normal nine to five path and whatever. So I was like in this big, vast ocean with no rudder and no idea what I was going to do. And those are some big heavy questions and thoughts. And to be honest, like I look back on this and feel like a bit embarrassed by it. But I was slightly jealous of like past me and pretty much 95 percent of the population and I’m like, wow, they’re just so busy they don’t have to face these tough questions and think about these big existential issues. And I was like sort of jealous of that. And then I quickly realized like that’s so ridiculous to be jealous because yeah, like I’m facing these questions, but I imagine most people face those questions eventually and maybe the unlucky ones are maybe facing that on their deathbed and they have no time or ability to change course or make changes or do something different with their lives to like align it with more of what they experienced or what they expect their life to be. Brandon: 16:35 And here I am in my thirties and I have the opportunity to do that. So yeah, it’s, these are tough questions but it’s, it’s a privilege and it’s amazing to be able to have a chance to do something about it. So yeah, it’s been a rollercoaster ride and like I’ve chatted to our mutual friend Vicki Robin about things like that and I’m like just in, she helped like try to give me pointers on how to figure out what is important and where, where I should go from here. So yeah, it’s been that’s something I definitely didn’t expect and it’s been, it’s been a crazy ride. Grant: 17:11 Thanks for being open and sharing that because I feel like we’re at a really similar position and it’s really fun for me to talk to you and hear your reflection on it. One of the things I’ve realized for me is that happiness is no longer the goal in a way, and that I find that I’m growing more as I dive into some of those things that I’ve always felt uncomfortable with about myself and leaning into some of those things. I’m learning a lot about myself and life and one of the missions of the book was Financial Freedom is clearly to share and I really hope it wakes people up just to that idea that money is infinite and time is not in a lot of people that are just sitting in their desk or they’re on their way to work listening to this or they’re at home kind of decompressing and I think a lot of people feel like they’ve got to stay on the ride until the end, if that makes sense? It’s like whether it’s get to a number, get to a level of career or you know, it’s so much easier to chase this external thing, whether it’s a promotion or a job or a higher number. Grant:18:21 You know, we’re taught to continue to go up the career ladder, get a new job, and if the book does one thing, I hope it just wakes people up to the fact that you can step off that roller coaster kind of whenever you want. You do need some money in order to do that, but at the end of the day the more you can kind of engage with these essential questions of, hey, do I really need to stay at this job or do I really need to make as much money as I’m making, you know, you’re probably going to not only find a way to be happier but grow too. It’s like we haven’t given ourselves enough time and space to grow because we, not only are we moving fast, but the speeds accelerating and I think there’s certainly a coincidence between the increase depression and suicide rates and those things. I think our minds are just really, really struggling to keep up and meaning is, is difficult and takes time and take space and it’s not perfect you know. Brandon: 19:17 Absolutely. I couldn’t agree more and that’s something that like looking back on my own journey, I realized I did wrong. Like I just put everything off until FI and that’s, you know, this is a process like you need to just think about like money and happiness and why you think you’re here and you just need to like make that as optimal as possible, but it’s hard to…yeah it’s hard to save a lot of money so that you have enough, but it’s also hard to figure out what that purpose is and what makes you happy. So these are all three things are tough to figure out, but you should be trying to figure all three out at the same time and optimizing for all three in the entire journey. Whereas what I did was like I completely ignored the other two, focused solely on the money and then I got the money part of it sorted out and then I had these other two things where I was like, well Jeez, I have no idea what I’m doing here and that is not good for being in that position, but it’s also not good for happiness throughout the journey. Brandon: 20:19 So. So yeah, I think those three components, if you can focus on those your entire life and just try to optimize for today based on what your net worth is today, what your income is today, what you’re spending is today. Like focus on optimizing for your current situation, then hopefully you’ll be happy and you’ll be doing work towards what you want to be doing anyway. And then eventually you’ll hit FI and you won’t even care because your life is like optimized for money and happiness and purpose. So, but that’s easier said than done. Grant: 20:50 Yeah, I agree with you. I was the same way. I couldn’t have answered that question of what even makes you happy because for me it was that external thing. You’re getting to that goal and I hope, I hope, uh, you know, we’re very fortunate that we were able to do this in our thirties and it’s such a, such a luxury. I hope that more people at least wake up to the idea that even if you know, you don’t have to be perfect. That’s the thing too with FI, a lot of things it’s like, Oh, I’ve got to do all these things and people feel guilty if they don’t. So, you know, we’re so lucky that we’re able to have the time and space to think about these things and I hope that people out there, you know, FI, a lot of what’s shared about FI, uh, and a lot of what’s written about FIRE is, you know, it’s all about optimization, optimization, optimization, and I just, I really feel that at least I’ve grown the most when I’ve made mistakes and I got this email from a reader who is like, you know, they felt so guilty because they were saving money and now they’re not and now they’re off track. Grant: 21:52 And you know I think that the whole point of all of this is that FI is not one path. It’s your path and there’s so many different ways to become FI. So many different tactics. And one of the things I think I wish people allowed themselves kind of more space to grow and not be so worried necessarily about hitting a perfect number. Perfect multiple. At least that’s my, that’s my reflection. But with that being said, one of the things that you said when I was talking to you and interviewing you for the book is that it’s never been easier in the United States to become FI. Can you talk a little bit about, do you still believe that and why? Brandon: 22:33 Oh, absolutely. Yeah. I would definitely say that, um, you know, incomes are very high. We have so many things are just so easy these days. Like I think about like all of the things that are in my laptop. My laptop has replaced so many different things that would have cost tens, if not hundreds of thousands of dollars. You know, just 20 years ago. Technology has really made it so that we can do some incredible things. It’s opened up obviously like the investment options that have opened up over the last 20, 30 years. The low cost index funds like to, to buy every stock in the market. Fifty years ago, I don’t, I don’t even know how you would do that. And the fees and the cost involved would be insane. But now we can just invest in every business in the world. I’m a host and for what, a few basis points, it’s not so salaries are high. Brandon: 23:25 The opportunity as you’ve shown like you, you’re an incredible story like what you’ve done with a laptop and just built incredible businesses. There’s far fewer gatekeepers these days. There’s a, you know, it just goes on like there’s so much opportunity and yeah, obviously there are still problems like health care cost are increasing and formal education costs are increasing and things like that. But you know, overall I think this is just an incredible time to be alive and to the opportunity to really just take control of your life and do what you want and potentially earn a living from it is just so high. Grant: 24:04 So why do you think the savings rate continues to go down in the US? Debt goes up at a time when it’s kind of never been easier to become financially independent and all of these tools are available. Why are so many people still stuck in that rut? Brandon: 24:21 Sure. Well I think technology is a double edge sword, so yeah, it gives us all these opportunities but it also gives us the Joneses right in your face and it’s not only the Joneses, it’s like the highlight reel from the Joneses. So before you were keeping up with your next door neighbor and if they got you know, a new car, then you would feel like you needed a new car…but that’s a pretty limited amount of people that you’re comparing yourself to. But now it’s like you’re comparing yourself to your Valedictorian who is now living in a, you know, a mansion in on the coast and they’re doing all these great things and your other friend doesn’t have the money to buy a fancy new Lexus, but they do. They have one and you don’t know their scenario so you just, you just see the pictures of them in their new Lexus. Brandon: 25:04 You’re seeing all these obviously like all the television shows and everything on the TV is also you’re comparing yourself to. So I think, I think that may be a big cause of it. Just like, yeah, you’re keeping up with the Joneses just like all other previous generations seem to do, but you’re just exposed to a, just a completely different lifestyle and the highlight reel of all these people and the sad thing is they can’t probably afford a lot of it. But when you’re comparing yourself to somebody, you don’t really know the full scenario. So that could be it? Americans in particular, I don’t know they feel like they deserve the best and they’re so…like we said before, I think a lot of people are so disconnected from what actually makes them happy so they’re just spending on things that don’t make them happy and then that’s just trapping them in, in this unhappiness where they have to work really hard to maintain it just because, you know, credit is easier to get now than it has probably ever been so people are screwing their future selves over by spending what they can’t afford just to, to keep up this lifestyle. And it’s a tough cycle and I don’t know, it’s hard to get out of until you, I guess you, hopefully we stumble upon a book like yours and realize, oh wait, I don’t have to do all this and yeah, this fancy car doesn’t actually make me happy, so why am I working so hard to pay for it? Grant: 26:36 What would you recommend to that person who is listening to this, and you know, maybe they’re feeling stuck, but this has been a spark where they’re like, Huh, you know, I, I want to learn more about this and I, you know, what are those couple first steps based on your experience that you think will have the biggest impact for someone? And you know, they don’t have to go all in. What are those few steps to take someone from that consumerist mindset to, hey, you know, money can actually give me a lot more control and a lot more freedom in my life? Brandon: 27:07 I think the first step would just be to record a month’s worth of spending. You could do that manually. You could sign up to mentor Personal Capital and let them show you what you’re spending in your bank accounts, but I think yeah, just figuring out where you are and then going through that and seeing like, all right, are these expenses like I’m spending a lot on this lease and is like, do I really love this car that much? Or could I save up five lease payments and buy a used car that I can then not have any car payments for the rest of my life? Well not the rest of my life, but you know what I mean. So I think that’s…I think that’s a huge first step and then obviously figuring out like what you have and what your net worth is, that’s important too. Brandon: 27:47 But I think the spending side of the equation is really where you would want to start because it’s like if you’re hemorrhaging money on things that don’t really improve your life, then that’s an easy first place to start trimming and trying to optimize. And then yeah, once you start building up a net worth, just figuring out like how much money you do have, and what that power that money gives you is important, but for a lot of people they’re spending everything they earn so the spending side of the equation I think is where you need to look first. Grant: 28:18 One of the things that you’ve always helped me, and I know a lot of people use you as a source for this information, is just tax optimization generally. And you know, we don’t have to dive into that. It’s way too early in the morning for Medicare, but how, you know, taxes just, they seem so boring. They seem so, you know, I want to outsource that or I don’t want to think about that. A lot of people just shudder when they think about it. For that person who’s listening, who’s maybe making a good amount of money or they’re just getting started here, how can you fall in love with tax optimization and why is it so important? Brandon: 28:53 Sure. Yeah. So I’ll just tell you my story of how that all came about. So I started the Mad Fientist in 2012 right when I realized like a in 2011 is when I realized that financial independence was possible when I was like, you know, always always, and I was like, I just want to get there as quickly as possible. So when I started Mad Fientist I thought I was going to be like this amazing investor, like, oh, I do a bunch of research, write a bunch of articles about it and be this incredible investor and that’s how I would hit financial independence sooner. It was quickly in, into my research that I realized how index funds are the most efficient and most high probable way of getting good returns. So it was like, oh, well, once I realized that I was like, well, what, what am I going to optimize? Brandon: 29:34 Like I still wanted to do something and when it comes to investing, not doing something is usually the best call. So yeah, once I set up my index fund portfolio and I was happy with it. It was like I wasn’t going to touch it. So I started looking into other ways to optimize and as I mentioned before, I was already quite frugal. I was like a naturally frugal person and always concerned with my spending and always monitoring it. So, uh, there wasn’t really any optimizations on that side either. I found some ways like travel hacking and things like that, but for the most part, like my spending was pretty optimized so it was like a, we’re, we’re, what other, what else is there? And then that’s when I realized, Whoa, there’s this big chunk that people just completely forget about because you know, it’s taken out of your paycheck before you get it. Brandon: 30:17 So it’s like you don’t even have it in the first place, but really like the pie of your money, like yeah, income is a part and that makes the pie bigger. Spending is a part in, uh, there’s another huge slice of that pie though, that’s taxes. So that’s when I started really doing a lot of research into tax optimization. And when I was doing the research I realized, wait a second, like early retirees are so different from the normal work until you’re 65 employee. So there’s loads of potential strategies here that could drastically reduce your time to financial independence that no one’s talking about because like they don’t apply to the normal work till you’re 65 employee because like if you think of like an income and spending graph of a normal person, like income keeps going up until you’re 65 spending probably keeps going up until you’re 65 and then income drops then pretty much nothing except for whatever your pension or whatever you’re drawing down from your retirement accounts. Brandon: 31:14 But for an early retiree it’s like, okay, you have this high period, this period of high income, low, hopefully decreasing spending as you’re optimizing and you’re getting more familiar with what you want to spend on and what you don’t need to spend on. And then the spending, you know, pretty much stays consistent but your income drops considerably. And then you have this period of, you know, maybe 10, 20, 30 years even until you hit 65 where you have this low income and reasonable spending. And I’m like, wow, this is an amazing opportunity to potentially, you know, have completely tax free money because you can juice these pre-tax retirement accounts like 401ks and IRAs and HSAs and things like that to lower your taxable income when your income’s high and thus your tax brackets high and then you can use those periods of low income years to transfer all that money over to like a Roth IRA. Brandon: 32:03 And then once you eventually take that out, you’re tax free because those are tax free withdrawal accounts. 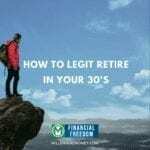 And yeah, so that just revolutionized my path to financial independence and the direction of Mad Fientist because there’s just so many optimizations that were possible specifically for early retirees that I was able to find and it literally can take years off of your working career. So it’s not like we’re scrimping pennies here just by buying name brand groceries or something. It’s like we’re taking years off of your working career and you’re not really sacrificing anything to do it. It’s not like you’re lowering your spending and you know, depriving yourself there. And it’s not like you’re having to work an extra 20 hours on a side hustle to increase your income. You’re just not paying something that most people don’t like paying anyway. And it’s legal. It’s the government wants you to pay the minimum that you’re required to pay. So that just completely changed my whole trajectory. And uh, it’s, it was a huge impact. Grant: 33:01 So someone just starting out and wants to learn about tax optimization. How much time, like, how many hours do you think of research it would take to get the basics to where you’re gonna you know, you’re going to be able to get some savings because this sounds to someone, it’s just new. I remember when I first thought about this. I was like, oh, this is just, this is going to take forever. How much time do you think someone should commit when they’re just learning about this? Brandon: 33:28 It shouldn’t take too much time initially because if you’re currently working and you have a high income and you’re looking to retire early, then obviously the thing that you’re gonna want to do now is just lower that taxable income as much as you can and that’s quite simple through just like taking advantage of your 401k. If you have one at work, if you have a 403b, that’s also a great one. Any of the pre-tax retirement accounts, just trying to max those out just because if this is going to be the highest tax bracket you’re in, potentially just if you have early retirement plans, then you just want to lower that as much as possible and then once you get to the stage where you’re thinking, okay, I’m going to maybe pull the plug on work, then that’s when you’re going to want to do some research into like how you can transfer that money over into a Roth IRA efficiently and how you can access those accounts early. Brandon: 34:18 Which that’s pretty much the bulk of the writing on my side is focused on that. 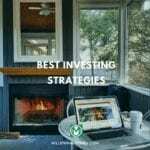 So like I have an article called how to access retirement accounts early and that goes through all the different strategies that you can use. And then if you’re at that stage and you have a bunch of money and you don’t want to deal with it, then you can hire somebody to deal with it for you and that’s actually something I’ve just recently did. This is the first year I didn’t do my own taxes and that’s because uh, I switched my business over to an S Corp and I had no interest whatsoever and learning how to do an S Corp return and all the implications of that. So I actually hired a guy to do it and it was great and he saved me a bunch of money on taxes even though I’m super into this stuff, he was able to still make some suggestions to save a bunch of money on taxes. So yeah, there’s always somebody you could hire if you don’t want to think about it. But yeah, it wouldn’t take much reading to get you to a level where you actually feel confident in the decisions that you’re making or the recommendations that your accountant is giving you. Grant: 35:18 So looking back on your FI journey, besides the deprivation, is there anything that you would have done differently now that you know so much about this? Brandon: 35:29 Absolutely, yeah. I would have used the power that money was giving me along the way that I didn’t even realize it was giving to me to make positive changes, to make requests at work that I thought I was just too scared to make. In looking back it’s stupid… I don’t understand, like asking for something. I wouldn’t have just been fired because I asked for it so I don’t really know what I was afraid of, but I didn’t realize the power that I had so I should have used the power of the money gave me to make positive changes in my life and I should have been focused on the real goal, which wasn’t a certain number in the bank because once I hit that, it didn’t matter. It didn’t change anything. It shouldn’t have been focusing on a certain number in the bank. It should have been that relationship between money, happiness, and like overall life purpose, and just trying to experiment with that, optimize and yeah, not putting off that happiness for some arbitrary number in a bank account that really doesn’t matter at the end of the day because it’s hard to conceptualize money in the bank anyway. So it, it just didn’t matter. So yeah, that was the biggest mistake and if I was to do it again, I would recognize the power…use the power and just be constantly working on all three spokes of that wheel that I was talking about. 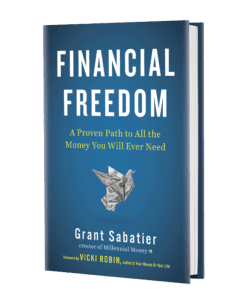 Grant: 36:45 So what does financial freedom mean to you now? Brandon: 36:47 It’s being able to do anything that I want and not really answering to anyone else. And I’ve talked a lot about some of the downsides of it, but I just want to reiterate like overall it is just so amazing to be able to wake up and choose what you do that day. And yeah, you’ll have some busy days if you’re like working on stuff like I am. And like yesterday it was quite stressful…I had a lot of stuff going on, but it was all good stuff and everything that I did was something that I chose to do and there really…there’s nothing better you can buy in the world that I can’t imagine anything else that’s better than that to buy. And that’s what saving for financial independence does. You’re buying that freedom and since the first year was so crazy and I was so trying to figure everything out, I don’t think it really sunk in, but the second year after quitting my job, like I feel like it’s really sunk in and I’m starting to realize like, hey, this is the rest of my life. I have this ability to do whatever I want for the rest of my life. And every now and then like I’ll just get hit by like this wave of like happiness and gratitude. Brandon: 38:00 I don’t know what the…I don’t know what the word is for it, but just like this wave of just happiness really, that it’s just like, wow, this is…and those come when I’m not doing anything particularly fun or amazing. I think it just hits me that yeah, this is possible based on past work and decisions and this is incredible. So there are challenges like I said, but I, I couldn’t recommend it enough. Grant: 38:26 One of the things I realized I was looking for a word. Just like you, I was sitting in Cornwall, England for a little bit of time and I was sitting just looking at the water and I felt really weird. I was like, what is this? What is this feeling that I’m feeling like, what is this? Like I didn’t literally recognize the feeling and I realized it was the first time in my life that I was actually at peace. Brandon: 38:47 Right? Yeah. That’s a good way to describe it. Absolutely. Grant: 38:51 And there was just kind of an ease and there’s, you know, life’s going to have a lot of rhythms and you’re right, some days those rhythms are going to be crazy and it’s just, there’s gonna be so much going on and you know you’re going to be stressed and you know, life is life. But I think you increased the opportunity for peace just to arrive in your life. And you realize so much that you can only control so many variables and you actually realize, I think or I’ve realized that this process that I’m in control of a lot fewer of the variables than I think I am and I’m, I’m learning to be okay with that and that’s why you’re just kinda sitting there and maybe it’s not even anything that you do, but all of a sudden this peace, at least in me, kind of overcomes me. Brandon: 39:36 And you mentioned that you’re in less…you’re not in control of all these variables and yeah that’s absolutely true in…but having money there in case of…like I would just have this like low level of stress anytime I thought of my car when I was younger because I was like, you know, this is an old car and what if it breaks down and then that’s going to be like 500 bucks or something. And yeah, that still can happen because I still have an old car and it is having problems. But, but yeah, not caring so much about the money I guess just allows me to not worry about that and just not care. But that’s obviously a trivial example, but I think that the power that money gives you and not having to worry about it as much as you did in the past makes a lot of things that maybe would stress you out low level stress in the background makes you not have those anymore. And that’s a beautiful thing. So yeah, you’re in a better position to experience that peace, as you said, because a lot of the worries that you used to have aren’t there anymore. And, and uh, yeah, it’s a beautiful thing. Grant: 40:41 I think money and a lot of ways it kind of insulates you from the world. So much of everyday life, you know, for a lot of people is consumed with getting that paycheck or getting that payment, you know, it just just consumes so much of your thinking. And the biggest thing for me is once I became FI, it was like 90 percent of my brain opened up, you know, and I didn’t realize just how stressed I was about money and fixated I was on money. And you know, it’s just another example of not having to…knowing that oddly at your core, you know, you’re going to be able to take care of yourself. I think a lot of people can probably feel that a little bit sooner than you know, when, when they reach FI. But it allows you, I think to create kind of a barrier between you and the external world that does open up that internal…that opportunity for internal growth because at the end of the day, and I’ve realized this is no matter where I live or how I’m making money, the only thing that I’m carrying with myself is myself and that really, that really kinda hit me intensely where it was like, you know, I expected to move to New York and like feel entirely different. Or, you know, I remember when I sold my first big client and I wish I’d thought I’d feel different and you know, at the end of the day you’re carrying yourself with you. And also, you know, actually this is, this is the last question. The finance industry sells a level of precision that I just personally think is really unrealistic. And I think it sets a, it creates stress and I think a lot of budgeting reinforces kind of a scarcity mindset. And I think a lot of people think about money, you know, and they’re like budgeting or oh my gosh, I can’t imagine it just, it just seems kind of daunting and stressful and the finance industry sells this idea that, hey, you need to save up a ton of money and here’s the exact number and we’re going to help you get there. But I think one of the things for me I’ve realized is that how do you even begin to plan for having enough money forever and for the forever. You, when who you are now is different than who you were two years ago. And we all change and we all grow, so how can someone set themselves up and maybe give themself permission to optimize their money, but like we’ve talked about this entire episode, focus on those more important things. Brandon: 43:05 That’s a great point. And yeah, that’s…I have a article that I’m planning to write and it’s talking about like, like FI… FI as a goal and that was my goal. But really this whole thing should be about mastery as we’ve talked about. And yeah, you should optimize for now as you said, but you’re right, you’re going to be different in two years and you should optimize for them for the new you. You shouldn’t make choices that lock you into something for a long time. So that’s why trying things out, renting instead of buying if you can, allows that and then it allows you to change and change what you want and what you’re paying for. But yeah, just treating it at like you’re mastering that intersection of money, happiness and purpose rather than, all right, here’s my financial goal. I’m going to work towards that. Because yeah, once you get there, maybe you’re spending is cut in half because you realize all the stuff you’re spending on didn’t matter so then you worked longer than you needed to or maybe you start spending more because you realize you deprived yourself over the last few years of stuff that really did make you happy. So. So yeah, I just think, yeah, focusing on that and rather than treating it like a goal, just treating it as…alright I want to master my life and the…how I spend money for that life and what I’m working towards and yeah, always adjust because I’m still learning things about myself and I’m still changing and I’m still changing things up and yeah, you’re never going to be like, all right, now I’m happy. Or now I have enough money for everything that I know I want to do in the future. Brandon: 44:40 And now I’m working on the exact thing that is important to me. It’s like you’re constantly learning things and changing, so just be flexible and you’re able to be flexible by not locking yourself into a 30-year mortgage on a McMansion that you can’t afford and you’re not flexible when you’re having to work 40 hours a week just to pay for, you know, your two leased SUV’s and things like that. So, so yeah, I think there’s obviously some things you, some choices you can make so that you don’t screw yourself over in the future, but I completely agree that focusing on just improving for today is, is a great way to go about it. Grant: 45:21 Yeah. Financial freedom means so many different things to so many people, so it’s important to define what it means to you more than anything else. So, hey Brandon, really appreciate, uh, all of the wisdom I’ve learned so much from you. It’s fun to be on this journey. It’s so. It’s so great to hear you so happy and thanks for…thanks for going deep with me this morning. I really appreciate you being being on the podcast. Brandon: 45:45 No, my pleasure, man. And it’s…yeah, it’s been great to see what you’ve been up to and the stuff you said at the beginning and knowing that I played even just a tiny part in helping you, uh, onto this path is just incredible because it’s, you know, it’s like compound interest to the extreme. If I, even if one post helped you and then it’s amazing to see what you’ve created on your own path. So it’s, it’s awesome man. So I always appreciate coming on your show and it’s always great talking to you. Grant: 46:12 All right, have a good day. Brandon: 46:14 Thanks buddy. Later!